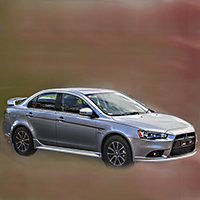 Hi I am new to the site and have a question about the wife's ralliart , as I have discovered the lancers are prone to having abs pump problems and as everyone knows the cost of the repair through the dealer is rude so my question is can anyone give me the contact details of someone in Brisbane that can fix it at a reasonable price ? and yes I know she got the toy and I got the bomb to drive . Hey QUAD any updates on this? Hi never got to introduce myself. Purchased a stock low mileage es four years ago. Found the forum 2 years or so ago. Have met up with merlin. (a must for anyone in sydney and keep up to date if he travels) i have and will continue to mod the car as i go. Hope to meet some of you at any future car meets. I'm from NSW and I recently just purchased a low kilometre VR sedan. I'm quite new to actually modifying cars, although I do have quite a good understanding of them. I look forward to all of your help! 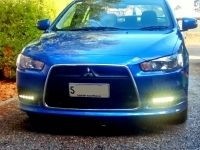 I'm from Melbourne and recently bought a mid Km 2010 Lancer VRX sportback, I'm exrtremely new to the car modding scene but I'm looking to squeeze a bit more performance out of my new car as I upgraded from a beaten up old 4x4. Pretty keen to learn what I can and hopefully have a bit of fun with it. Former Victorian living in Sydney.. Unfortunately had to sell my baby not too long ago.. Still got the plates I had made for her "L4NCER"
What colour are they and are they slimline? are you considering selling them, if so at what price? Hi all, been on here and lurking/reading for a while now. I purchased a new CF Lancer GSR sedan July 16 and so far it has been great only mods have been the RA intake and opening of the intake panel plus a K&N filter, Whiteline strut brace alloy gear knob plus some trim and 4 x usb ports and some wider tyres, we also now have a 2011 Aspire in the family. Waiting for a recently purchased MMCS W13 to arrive and hope it plays nice. May possibly get either a Ralliart or Evo x down the track if I can sus out the Dual clutch issues they seem to have.